Today is Wednesday January 8th, 2014. After eight days, Aldo is now down a full pound. The analysis is that his day off on Saturday, really cost him dearly, a good three or four pounds. So, no time for tears or self pity. Today I had him do pushups in the morning. The good news is that after starting with one pushup for 5 sets, today he did 7 pushups for 5 sets. So he is clearly getting stronger. 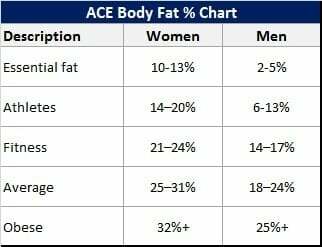 Even to get into the fit range, he has a way to go, at least another 6% of body fat must be shed. Yesterday, he had no grain at all and reported back to me that he could not think too well. So today, we are going to remedy that by allowing a half cup of the best non wheat grains available, oats, quinoa and rice. Do you think that he went out to the gym in -17 degree weather here in new york city? Nope, and that was fine. I am going to go with him today once he finishes breakfast. So far, so good, he liked that breakfast alot. We just have to find a way to get some vegetables in there as well. Surprise, surprise, Aldo really loved doing squats. Perhaps love is too strong of a word, let us just say that he really felt that it was a great workout. And he has quite a bit of leg strength. I thought we would start out basic and just use the olympic bar, but after 2 set of five repetitions with the bar alone, he wanted to keep going. So, I put the bar up to 65lbs. He took direction really well, kept his feet shoulder width apart, back straight, moved his hips back, knees outward, and glutes went below parallel, below his knees and he came back up. I did not think that he would be this strong, especially with the cold weather, but I was wrong and that was fine with me. After 65lbs, he wanted to go up, so we raised the weight to 70, then 75lb, then 80lb and last to 85lbs. He did 5 sets of 5 repetitions up to 85lbs, pretty great. I was really proud of him and more importantly, he felt so good that he said he will have his dinner as we planned, a cup of brown rice, some veggies and tofu/chicken, before 8pm and call it a night, no more food, and lets see how that translates to weight loss tomorrow morning. What strength exercises have you done today? What is your meal plan? How is your get fit resolution for the new year going? Please Share.